Then there are the expectations and misunderstandings from others. That because you’re single, you’re available for anything. That filling your live with meaningful activities, volunteering and relationships doesn’t mean you’ll find someone or fix your loneliness. 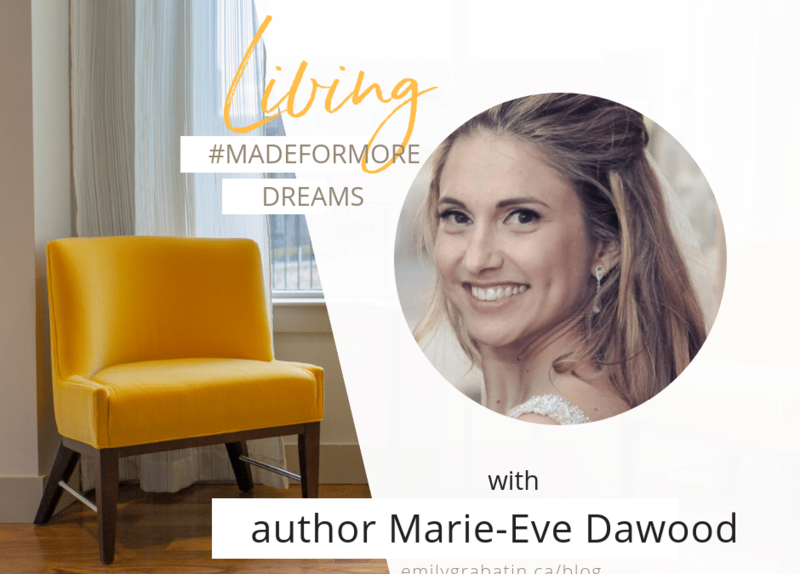 That’s why, when I met Marie-Eve Dawood at an authors meet and greet at a Toronto restaurant, I was so thrilled to hear her story and her message. A Christ follower married at age 40, Marie-Eve, too, experienced the deep disappointment, nagging doubts and unrelenting scrutiny that plagues believers who find themselves unattached longer than expected. After her wedding, she felt called to share her story and hope with other singles through another life-long dream: writing a book. Need to start taking brave action in your own #madeformore dream?